If you have any questions or want to enquire about dates, use our form to contact George Watkins or see their website for more information. 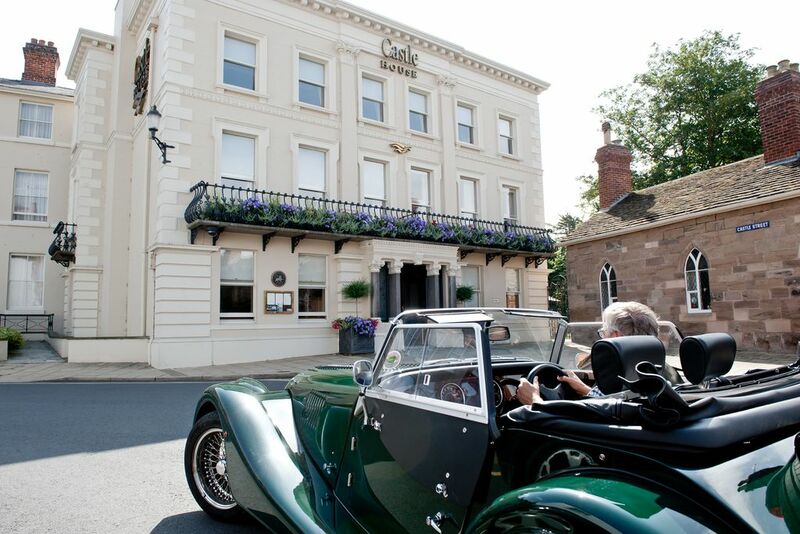 Hereford’s loveliest hotel stands 200 paces from the city’s magnificent 11th-century cathedral, home to the Mappa Mundi. It’s English to its core with a beautiful garden that overlooks what remains of the castle moat – in summer you can eat here watching ducks glide by. Inside, the lap of luxury: a fine staircase, painted panelling, a delicious restaurant for the best food in town. Big bedrooms are lavish. Those in the main house are more traditional (the top-floor suite runs all the way along the front of the house); those in the townhouse (a 30-second stroll) are distinctly 21st century. All have a smart country-house feel with beautiful fabrics, super-comfy beds, crisp white linen, excellent bathrooms with L’Occitane essential oils. Seriously good food, much from the owner’s nearby farm, waits in the restaurant, perhaps beetroot panna cotta, roast bream with saffron mash, banana mousse with chocolate brownies. You can walk it off along the river Wye, which runs through the park behind. Hereford has lots to offer: pop-up opera, guided walks, Evensong in the cathedral, the Three Choirs Festival in July. Special offer: Book a few days in the quiet Herefordshire countryside. Stay from £160 Mon-Thurs or £180 Fri-Sat for 2 in a double or junior suite, when both have 3 course dinner in the restaurant. Lunch from £5. Sunday lunch from £18.50. Dinner, 3 courses, about £35. Singles £140. Dinner, B&B from £100 per person. Have you visited Castle House? Be the first to leave a review. Hereford city is a small city beside the River Wye and surrounded by beautiful countryside. Hereford Cathedral, which is two minutes from the hotel, houses the world-famous Mappa Mundi. An early medieval map drawn by monks with Jerusalem at the centre. Hereford is a bustling city with lots of independent shops, interesting architecture and museums. Castle House has created a City Walk and a River Walk which are historically interesting and take in some beautiful scenery. The Courtyard Theatre always has a busy programme and some great shows. We can always tailor a package for guests who want to go to a show and stay with us. Hereford Cathedral has a full calendar of events and we can always organise an early supper if guests would like to go to Evensong or a cathedral concert. Visit our website for our2018 Calendar of Events. The county is awash with fascinating architecture, beautiful gardens and country walks. Hay on Wye is about 40 minutes away from the hotel and full of things to do. Canoeing is one of the favourite activities details can be found on Visit Herefordshire. Castle House has its own kitchen garden on the family's farm. The hotel can organise a visit to the farm for those guests who are interested.